Jordyn Malia Hood: She smiles!!!! 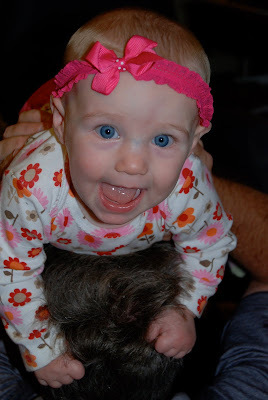 She loves being put on Grandpa Hood's head!!! Yea! Now she can smile all the time like her Mommy and Daddy! Very cute! Come over and play soon!